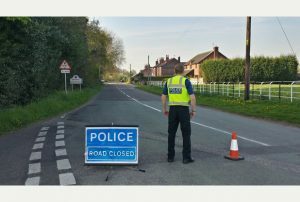 Police are appealing for witnesses after a motorcyclist died in an accident in Rode Heath yesterday afternoon (Thursday 23rd April). Medics were called to the collision between a motorbike and a lorry on Sandbach Road (A533), near Rode Heath, at around 3.15pm. A variety of rapid response vehicles, two ambulances, an air ambulance and an emergency doctor attended but sadly the motorcyclist was pronounced dead at the scene. The 44 year old HGV driver involved in the crash was arrested on suspicion of causing death by dangerous driving and he remains in police custody. A customer of nearby The Royal Oak said the crash happened around 300 yards away from the Sandbach Road pub, close to the Chells Hill junction. He said: “It’s sad and, from what I believe, it’s the fourth motorcyclist killed this week. It’s the good weather that brings them out, and maybe they haven’t been out for a while although it’s not always the motorcyclist’s fault. Anyone with any information is asked to contact Cheshire Police on 101 quoting incident number 604 of April 23. This article was added on Friday, April 24th, 2015 at 3:21 pm and is categorised under General News. Both comments and pings are currently closed. Error: Error validating access token: Session has expired on Saturday, 09-Mar-19 13:12:58 PST. The current time is Thursday, 25-Apr-19 05:56:29 PDT.